Stephens? Or Stevens? I'm sticking with Stephens until otherwise told to change. Bill Stephens raced for a few years in the early 1960s. Seemed to coincide with his education at the University of B.C. He graduated up to a very hot Lister Corvette, won the prestigious Rose Cup in Portland, OR. Not sure how long he continued racing after 1963. I don't see his name much, if at all. Maybe I need to look harder. Or ask somebody. Information from the Sun, Province, Columbian, Advance, Leader and Racing Wheels. One newspaper has 88 cars in the pits. Racing Wheels has over 100. Cars from various sanctions and cities. Must get back to this after two months of not getting back to it. Early Vancouver. Up to 1919. No special reason for using this except I'd scanned the entry from an old Langley Auto Racing Association yearbook. Might as well use it. The modified stocks were a favourite class at Langley Speedway for me and others. Now I realize they were throwbacks to the old stock class that ran in the 1950s at places like Digney Speedway. And they still exist, somewhat, in the Old Time Racing Association that visits Agassiz Speedway now. Been getting back into the swing of things, now that summer is really done, autumn definitely falling and Halloween just around the corner. Cleaning up files: what's been used (I think) and what hasn't (still thinking). I know I haven't finished the 1966 Langley Speedway season but it is banquet season so this fits. And it's winter rally season. And this ad for Morris Minors at Fred Deeley Ltd. is pretty cool. Clipping about Guy Miller racing at Action (Langley) Speedway. It mentions the old song Tell Laura I Love Her by Ray Peterson. You know, I never really listened to the song until recently (about a week or so ago when Randy Bachman played a series of car songs on his CBC Radio One program, Randy's Vinyl Tap) so I never knew it was about a guy dying in a stock car accident. And his last words were...well you know. But this post is really about Guy Miller who still helps out in the pits at Agassiz Speedway. Bob Veith ran a car similar to this reconstructed MG Liquid Suspension Special at the 1964 and 1965 Indianapolis 500s. This car was rebuilt by Vancouverite, Ralph Zbarsky. He has since sold the car. The detail tries to show an autograph added by Wally Dallenbach, Sr., who drove the MG Liquid Suspension Special in the mid-1960s. 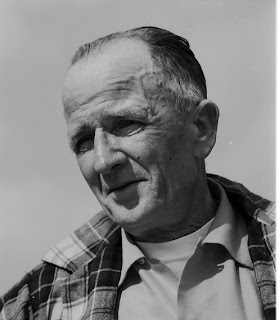 Bob Veith raced his "hot rod" at Digney Speedway a couple times in 1949. The California cars were definitely hotter than anything the Vancouver, BC, or even the Washingston State racers had. Bob went onto the a USAC racing career racing at the Indianapolis 500 numerous times. He also went to Monza, Italy, for the Race of the Two Worlds on the high banked track. Indianpolis cars versus the Formula One cars of the day. The Indy cars had the power. Jimmy Bryan, from Arizona, dominated. Bob Veith came back to Vancouver in the early 1960s to give safety instructions to various local high schools. The program was sponsored by the Vancouver Sun. The A/D Syndicate Scuderia of Jack Williams still lives. Here's a couple photos I took of it about ten years ago at the Motorsport West show. Jack Williams goes back to the early 1950s in custom cars and drag racing in the Greater Vancouver area. I believe the colour photo above is from the orginal Mission Raceway. Photo credit was to Roy McBride (maybe Ray). A couple stories on Arleigh as he raced into his 60s. A Larry Rose story in Wheelspin noting Arleigh's passing and some of his accomplishments. More Arleigh. 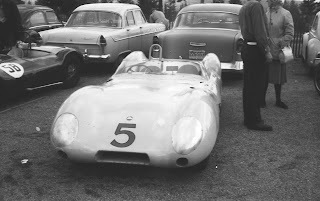 A photo of one of his specials at the Westbank hill climb in 1958 that would have seen action at Abbotsford Airport. And a 1960 photo of a Lotus he campaigned at Westwood and elsewhere. 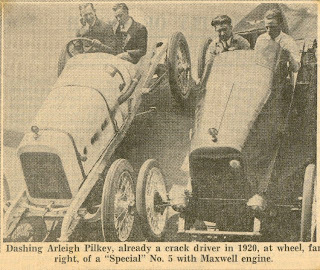 Arleigh Pilkey is one of those almost forgotten pioneers of Greater Vancouver motorsport. His name goes right back to the late teens of the 20th century when he raced on the half-mile horse track at Hastings Park. And he was still racing up to the mid-1960s with sports cars at Westwood. So some clippings and photos about Arleigh over the next few days. CAMRA came to Langley Speedway in 1967. Norm Ellefson tells the story (and I'll believe him) that his car owners told him to slow down and stop pushing near the end of the feature. This done by hand signals. That allowed Bob, running second, to get around Norm on the next to last lap and win. Norm didn't sound too pleased when he told me that story. Some more Bob Gregg things. Bob Gregg, "Bullet Bob the Barefoot Boy"
Bob Gregg, out of Camas, WA, passed away nearly 6 years ago, after racing for six decades and being named "Driver of the Century" by the Golden Wheels racing fraternity. He started racing midgets back in 1940 and won numerous titles in the Oregon and Washington Midget Racing Associations. 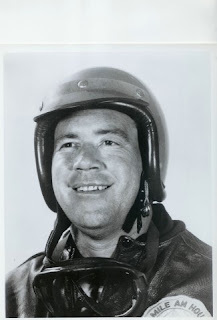 He also raced, and won with, the big cars (sprint cars) and track roadsters (hot rods) of the 1940s and 1950s. In the 1960s and 70s he ran the super modifieds on the Canadian American Modified Racing Association (CAMRA). And while he never won the points title there he consistently finished in the top ten and did garner many feature wins. Other drivers moved from the CAMRA circuit moved up to USAC and the Indy circuit. Bob made his attempt back around 1950. He took his rookie test but never returned after that. I'll have to dig up more Bob Gregg stuff. He deserves to be recognized across the nation in either, or both, the Sprint Car and Midget Halls of Fame. Well, it's raining. And it has been a busy week. Some more busy weeks to come as well so the blog will be sporadic. Everything winding down. They even raced in the rain way back when.